C. F. Dee, B. Y. Majlis, M. Yahaya and M. M. Salleh. (2007). Growth and characterization of ZnO nanowires, nanowalls and nanobeltson fused silica and alumina substrate. 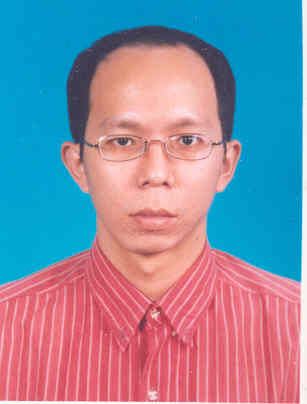 - International Conference on Materials for Advanced Technologies 2007. .
Dr. Dee Chang Fu. (2008). Synthesis and characterization of nanostructures griwn by laser ablation technique for a high sensitive gas sensor. - Seminar Pemantauan Projek Penyelidikan (GUP) 2007. .
Prof. Dr.Burhanuddin Yeup Majlis, Prof. Dr. Wan Zurinah Wan Ngah, Prof. Madya Dr.Shahrir Abdullah, Dr. Badariah Bais, Dr. Dee Chang Fu, Dr. Azrul Azlan Hamzah. (2008).  Biomems untuk aplikasi penghantaran ubatan. - Seminar Pemantauan Projek Penyelidikan (GUP) 2007. .
Javad Karamdel, M. T. Ahmadi, Burhanuddin Yeop Majlis, C. F. Dee, Razali Ismail. (2008). Formulation and simulation of electrical properties of a (5,3) single wall carbon nanotube. - 2008 IEEE International Conference on Semiconductor Electronics. .
Yap Chin Chi, Muhammad Yahaya, Muhamad Mat Salleh & Dee Chang Fu. (2008). Controlled-growth of ZnO nanowires with different processing temperatures. - Jurnal Sains Malaysiana. 37(3):277-280. Karamdel, J; Dee, CF; Majlis, BY. (2010). Characterization and aging effect study of nitrogen-doped ZnO nanofilm. - Applied Surface Science. 256(21): 6164-6167. Chong S.K., Goh B.T., Aspanut Z., Muhamad M.R., Dee C.F., Rahman S.A.. (2011). Synthesis of indium-catalyzed Si nanowires by hot-wire chemical vapor deposition. - Materials Letters. 65(15-16):2452-2454. S. K. Chong, B.T. Goh, Z. Aspanut, M. R. Muhamad, C. F. Dee, S. A. Rahman. (2011). Effect of substrate temperature on gold-catalyzed silicon nanostructures growth by hot-wire chemical vapor deposition (HWCVD). - Applied Surface Science. 257(8):3320-3324. Su Kong Chong, Boon Tong Goh, Zarina Aspanut, Muhamad Rasat Muhamad, Chang Fu Dee, Saadah Abdul Rahman. (2011). Radial growth of slanting-columnar nanocrystalline Si on Si nanowires. - Chemical Physics Letters. 515(1-3): 68-71. Su Kong Chong, Boon Tong Goh, Zarina Aspanut, Muhamad Rasat Muhammad, Binni Varghese, Chorng Haur Sow, Chang Fu Dee, Saadah Abdul Rahman. (2011). Silicon nanostructures fabricated by Au and SiH4 co-deposition technique using hot-wire chemical vapor deposition. - Thin Solid Films. 520(1):74-78. Karamdel, J., Damghanian, M., Razaghian, F., Dee, C.F., Yeop Majlis, B.. (2010). Dependence of band structure and carrier concentration of metallic (13,13) and semiconducting (13,0) single wall carbon nanotube on temperature. - Sains Malaysiana. 39(4):615-620. A. Ismardi, C. F. Dee, H. Abdullah, B. Y. Majlis and M. M. Salleh. (2011). Synthesis and characterisation of Zn-Sn-In-O quaternary nanostructure system. - Materials Research Innovations. 15(2):173-175. Chang Fu Dee, Ishaq Ahmad, Yan Long, Zhou Xingtai, M.M. Salleh and B.Y. Majlis. (2011). Contact welding study of carbon nanotube with ZnO nanowire. - Physica E: Low-dimensional Systems and Nanostructures. 43(10):1857-1862. J. Karamdel, C. F. Dee & B. Yeop Majlis. (2011). Effects of annealing conditions on the surface morphology and crystallinity of sputtered ZnO nano films. - Sains Malaysiana. 40(3):209-213. H. Abdullah, S. Selmani, M.N. Norazia, P.S. Menon, S. Shaari & C.F. Dee. (2011). ZnO:Sn deposition by Sol-gel method: effect of annealing on the structural, morphology and optical properties. - Sains Malaysiana. 40(3):245-250. Tiong, TY; Yahaya, M; Dee, CF; Lim, KP; Majlis, BY; Sow, CH. (2009). Influence of growth temperature on SnO2 nanowires. - Materials Research Innovations. .
Dee C.F., Tiong T.Y., Salleh M.M., Yahya M.M., Majlis B.Y.. (2011). A room temperature CuO nanowire sensor for organic volatile gases. - 10th WSEAS International Conference on EHAC`11 and ISPRA`11, 3rd WSEAS Int. Conf. on Nanotechnology, Nanotechnology`11, 6th WSEAS Int. Conf. on ICOAA`11, 2nd WSEAS Int.Conf. on IPLAFUN`11. .
Ille C. Gebeshuber, Herbert Stachelberger, Bahram Azizollah ganji, Dee Chang Fuu, Jumril Yunas, Burhanuddin Yeop Majlis. (2009). NEMS/MEMS Technology and Devices. - . 265-268. Ille C. Gebeshuber, Dee C. Fu, Jumril Junas. (2010). Encyclopedia of Nanoscience and Society. - . 494-498. N. Mohd Noor, H. Abdullah, C. F. Dee, S. Shaari. (2008). Study the low doping effects of Sn on nanostructure ZnO as an anti-reflecting coating (ARC). - The 2008 Asian Conference on Nanoscience and Nanotechnology. .
Norazia Mohd Nor, Huda Abdullah, Nughoro Pratomo Ariyanto, Abd. Amir Kadhum, Sahbudin Shaari, Chang Fu Dee. (2009). Influence of post-annealing temperature on the properties exhibited by in doped ZnO thin films for anti-reflecting coating application. - International conference on materials for advanced technologies 2009, Singapore.. .
H.Abdullah, M.N.Norazia, C.F. Dee, S. Shaari. (2009). Temperature dependence of ZnO:In thin films doped with different in compounds and deposited by sol-gel methods. - 25th Regional Conference on Solid State Science and Technology 2009, Pulau Pinang. .